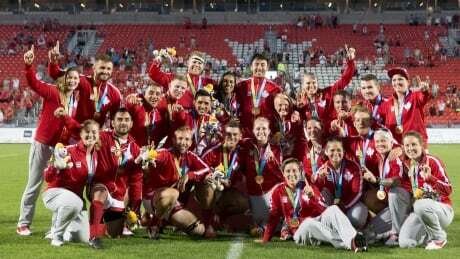 It was a golden day for Canada’s men’s and women’s rugby sevens teams at the Pan Am Games. The women beat the U.S. 55-7 in their final, then the men defeated Argentina 22-19 to complete the sweep. Pan Am Games: Canadian rugby women to go for gold against U.S.
Canada secured its place in the gold medal match against the U.S. when it thumped Argentina 45-0 to open play Sunday. The Americans also improved to 4-0-0, hammering Mexico 71-0. 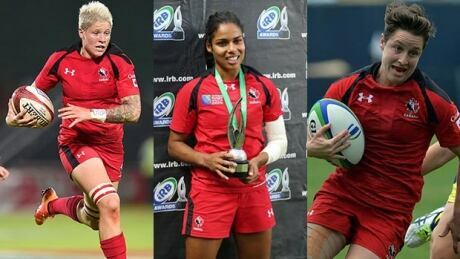 Posted in Sports/PanAm (Actual)/Rugby-Sevens | Comments Off on Pan Am Games: Canadian rugby women to go for gold against U.S. 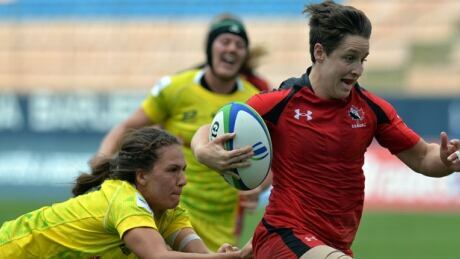 The Canadian women, the top-ranked team in the competition, blanked Colombia 55-0 before thumping Mexico 60-0. The Canadian men, ranked third in the field but a gold medal hopeful, battered Guyana 45-0. Pick a costume, grab a friend and get ready for two days of wild action as Pan Am rugby sevens runs at Exhibition Stadium in Toronto on July 11 and 12. Two-time Olympic bobsleigh champion and former rugby player Heather Moyse provided her analysis on the women’s rugby sevens team. Moyse touched on Canada’s medal chances at both the Pan Am Games and Olympics, and also gave a scouting report on key players. 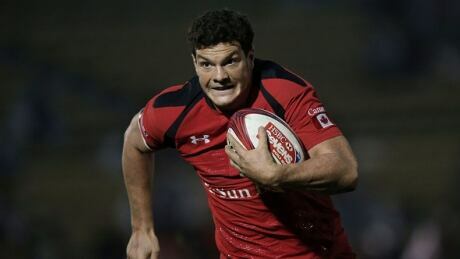 Captain John Moonlight will lead Canada in its bid to defend the Pan American gold it won four years ago in Guadalajara when men's rugby sevens made its Games debut. 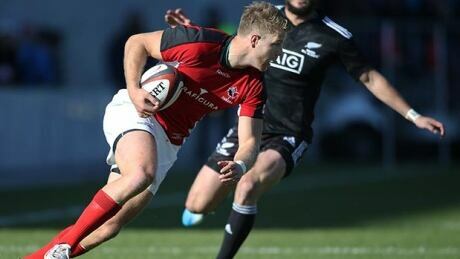 Canada missed out on rugby sevens Olympic qualification after falling 21-5 to the United States at the NACRA Sevens Cup final on Sunday. 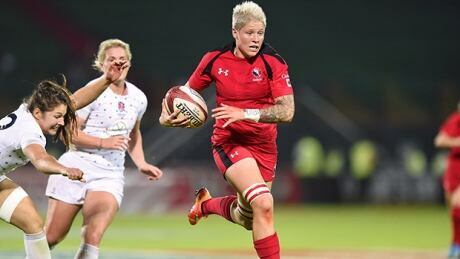 Captain Jen Kish and high-scoring Ghislaine Landry will lead Canada's women's rugby sevens team at the Pan Am Games. 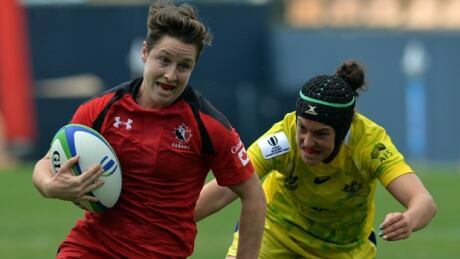 One day after securing Olympic rugby qualification, Canada made history Saturday by defeating Australia 20-17 at the Amsterdam Sevens to win its first ever Women's World Series tournament. Flying down to Rio. 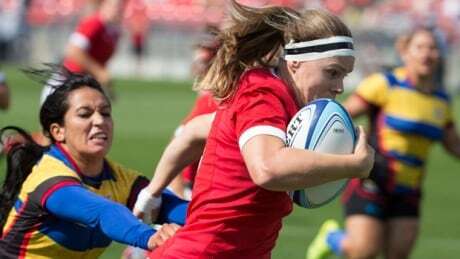 That's what Canada's women's rugby sevens team will be doing after winning two games in Amsterdam during the World Rugby Sevens Series to become the first Canadian team to qualify for the 2016 Olympics. You are currently browsing the archives for the Sports/PanAm (Actual)/Rugby-Sevens category.